Despite the dire circumstances, the ravenous left in California continues at breakneck speed to implement so many detrimental, dangerous laws and policies, that Jack, the amoral leader in “Lord of the Flies,” would blush. Stranded on an island, this group of schoolboys degenerate into savagery. It sounds like California, doesn’t it? While California’s exuberant leftist leaders celebrate one bad policy after another, the rest of the state is feeling dark and desolate. And broke. California is in last place, or first place, depending on the wording of the poll, in everything, other than the vast fortunes of the Hollywood and the Silicon Valley crowds. The rest of the state – save for some of the highly compensated public employees – can barely afford rent, and few young people can even afford to buy a home anywhere near their jobs. California has one of the worst failing education systems in the country, the highest income taxes, highest gas tax, highest poverty in the nation, a billion dollar budget deficit, the state pension system is underfunded by $1 trillion, and violent crime is on the rise. But we now have transgender bathrooms, and a new law that allows knowingly transmitting HIV to a partner will no longer be a felony offense. “CalPers, CalStrs and the State health plan have a total of $1.2 trillion in unfunded liabilities,” said State Senator John Moorlach, R-Costa Mesa. “For years CalPERS has been lying about their return on investment, claiming it to be 7.5%. Instead in 2014-15, according to Sen. Moorlach, it was actually 2.4%.” This is bad. 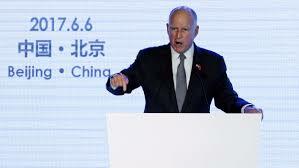 This legacy of Jerry Brown’s is not one in which he can be proud; Brown’s legacy is one of ruination… almost as if he’d planned it this way. I am a native Californian. I came of age when Jerry was governor the first time, 1975-1983. My pessimistic assessment of my home state is growing worse by the day. The economically strapped middle class continues to flee the state because of bad schools, very high and growing taxes, rampant crime, and declining local and state services but with higher fees and taxes for these services. California is home to one-third of the nation’s welfare recipients. California is home to the most residents living below the poverty line in the country. And now with our politicians’ disregard for federal immigration laws, more than a quarter of the 38 million Californians were not even born in the United States. California has a significant economy, with more than 19 million private-sector jobs in the state. However, the number of welfare recipients “enrolled in Medicaid and the Children’s Health Insurance Program in California alone exceeds the total populations of 44 of the other states of the union, according to data published by the Centers for Medicare and Medicaid Services (CMS) and the Census Bureau,” Terence Jeffrey with CNS news reported. California has 13,496 state and municipal employees drawing salaries of $200,000 and up, according to Open The Books. California has more than 13 million welfare recipients, a large government employee class of more than 2 million, and more than 1.4 million former government employees now collecting overly generous government pensions. “If you want to know the fate that awaits California, just watch the state of Illinois,” said Sen. Moorlach, who drove through Illinois, from top to bottom, last October to see it for himself. 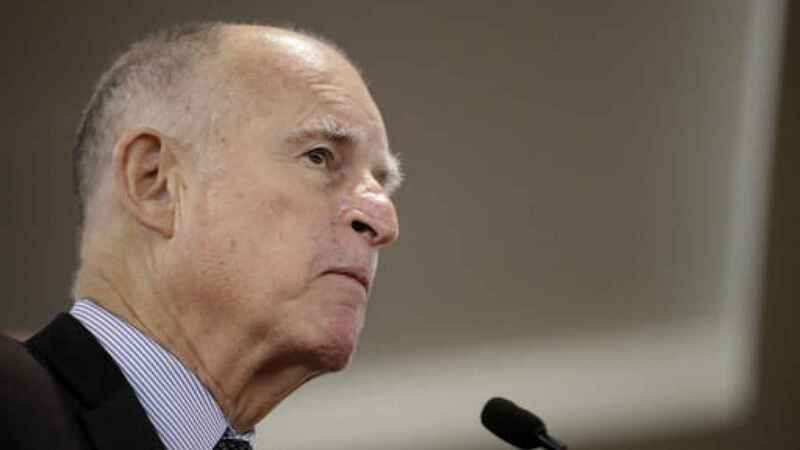 “It’s a slow-moving fiscal train wreck and California is on the same track. The catalyst? Underfunded pensions.” And too many takers. Katy Grimes’s new book, “California’s War Against Donald Trump,” co-authored with Jim Lacy, is available for purchase at Amazon.com in both Kindle and paperback.